With the sudden cancellation of US Secretary of State, Mike Pompeo‘s fourth visit to North Korea on the 26th by President Trump, the negotiations for denuclearizing North Korea is in for another bumpy ride. The fact that President Trump decided to indefinitely postpone the plan of the visit a day after it had been officially announced by Secretary Pompeo is extremely unusual. So far, President Trump has said that he trusts Kim Jong Un‘s promise that was made at the Singapore Summit to denuclearize. 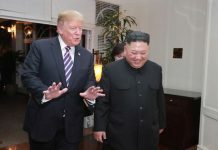 However, the real reason that Kim Jong Un came out to the negotiation table was to avoid any military action from the United States and lift the sanctions against North Korea. Finally, President Trump has concluded for the first time since the Singapore Summit, that he was skeptical of Kim Jong Un‘s willingness to denuclearize. 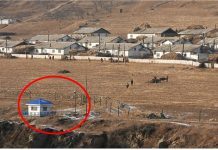 This suspicion arose because Kim Jong Un refused the US‘ offer of exchanging a list of nuclear facilities for the end-of-war declaration. At the moment, US media has predicted that if the talks with North Korea breaks down completely, the United States may implement stronger sanctions or review military options after the November mid-term elections. In order to overcome the current stalemate, the US and North Korea need to find a common ground. The end-of-war-declaration was agreed upon by the two Koreas at the Panmunjom Summit and was also supported in June by the US in Singapore. However, the sole purpose of both summits was denuclearizing North Korea. Kim Jong Un needs to be aware that reporting the list of nuclear facilities does not mean that the disposal of weapons happen immediately. And so, he must make the bold decision to accept the US‘ offer to exchange the list of nuclear facilities with the declaration of the end of the war. Chinese President Xi Jinping and President Moon‘s visit to Pyongyang in September will begin a second round of summit diplomacy for denuclearization on the Korean peninsula. This summit diplomacy should focus on the North Korean nuclear dismantlement. In order to make this happen, South Korea and the US should have solidarity on the issues of the timing and conditions of the end-of-war declaration. At the moment, the two Koreas and the US are on different sides on the issue. While the two Koreas are urging for the end-of-war declaration, the US insists that it is a prerequisite for denuclearization. Some people say that even though North Korea has not taken a single meaningful step toward denuclearization, the declaration will be the right push in the direction. This claim can creates cracks in the existing agreement between South Korea and the United States that the sanctions should remain until North Korea makes a significant move in dismantling its nuclear weapons and missiles. Sending unilateral concessions to North Korea is unlikely to succeed. That is why, during the denuclearization negotiations with North Korea the principle of ‘action for action’ has been emphasized. If the United States and South Korea can not make a unified voice in the denuclearization of North Korea, at the end of the day, the biggest beneficiary will be North Korea.